There are many things in life that cause us pain. 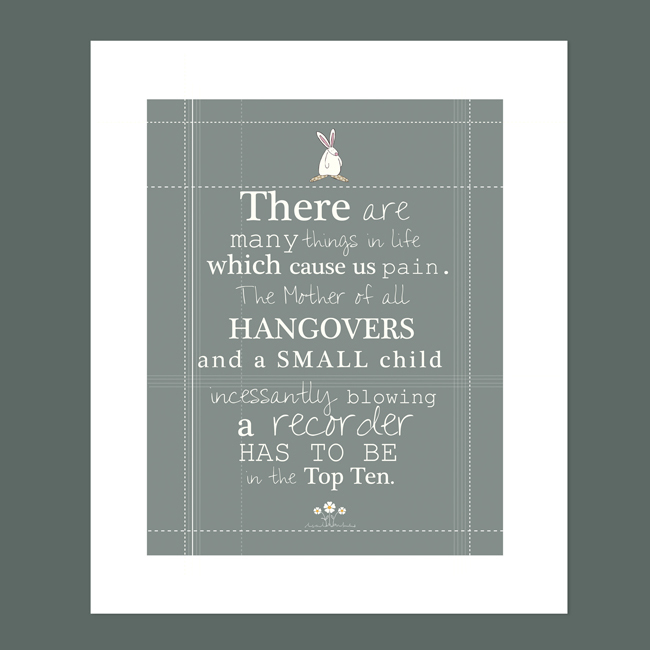 The mother of all hangovers and a small child incessantly blowing a recorder has to be in the top ten. Rufus Rabbit loves to create affordable and original art prints. A print for those who could do with a smile reminder when they feel really up against it. This Hangover Pain art print is perfect for sending to someone in need. Or you could pin it to the fridge or the back of the toilet door. Simply frame and place it somewhere inspirationally prominent! Printed on a quality textured paper, this art print will arrive with you backed on a sturdy board, in a cello wrapped bag.